Alla Havens, MSN, NP-C - Heart Center Of North Texas, P.A. Alla Havens, MSN, NP-C is a board-certified Nurse Practitioner. 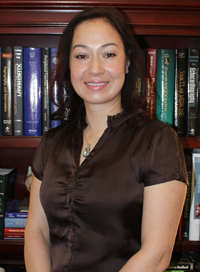 She graduated from the University of Texas Medical Branch with a Master’s of Science in Nursing. Prior to that, she received a Bachelor’s of Science in Nursing from Texas Woman’s University. For five years she worked in the Cardiovascular Intensive Care Unit at the Baylor All Saints Medical Center in Fort Worth as a nurse and she was certified as a Critical Care Registered Nurse. Alla is a member of the Association of North Texas Nurse Practitioners. She is licensed by the Texas Board of Nursing, certified by AANP and she also holds a certification in Advanced Cardiac Life Support (ACLS). Alla is fluent in Russian . Her pastimes include spending time with her family, traveling, painting and gardening.